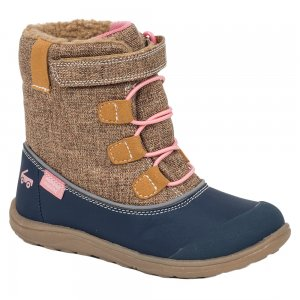 When the forecast calls for warm, waterproof footwear, the See Kai Run Abby WP winter boots are ready. 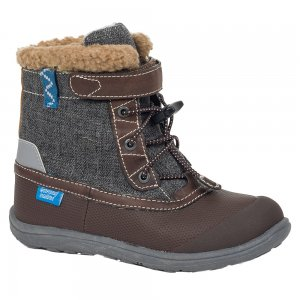 They keep feet toasty and dry with insulation, faux shearling cuffs and a waterproof membrane. 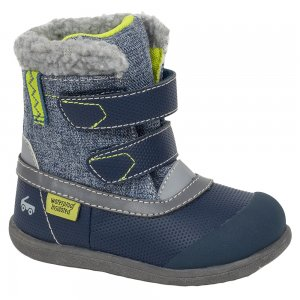 With bold color and reflective accents, the kids' See Kai Run Atlas WP winter boots stand out in a crowd. 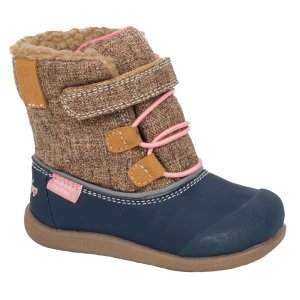 Plus, their comfortable footbeds and thermal lining keep little feet dry and warm all season. 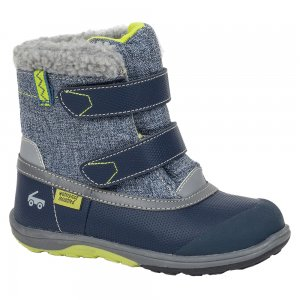 When the forecast calls for warm waterproof footwear, the kids' See Kai Run Charlie WP winter boots help tiny feet stay toasty. These kicks feature a comfy fit that secures with hook-and-loop straps. Puddles are no obstacle in the kids' See Kai Run Montlake WP rain boots. Made of lightweight, durable ripstop nylon, their rubber sneaker soles give little feet lots of traction on slick surfaces. Watch out, puddles. The kids' See Kai Run Montlake WP rain boots are made of lightweight durable ripstop nylon, and their rubber sneaker soles give kids the traction they need to splash away.